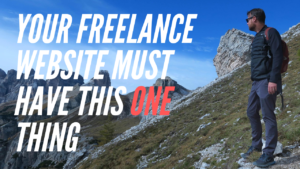 Everyone hates it, yet it’s one of those things you need to do all the time, especially if you want to get freelance work. Ever emailed someone asking to write a guest post for their blog? How about applied to a job online and sent an email with your resume and cover letter attached? Maybe you tried to get someone to be interviewed for your podcast? What about that time you emailed an author to say you loved their work? Guess what, those are all cold emails. Today we cold email without even thinking about it…and therein lies the problem. The fact of the matter is, most people are just bad at emailing. Once you get the slightest (and I’m talking real slight here) bit of “internet fame” you will get a barrage of emails on the regular in your inbox. About 75% of them will be junk. I know I’ve gotten an increasing amount of these over the years, and Sean, well he gets dozens of them every single day – so when we say we’ve seen bad emails…we’re not lying. You’ve probably sent some pretty terrible cold emails. The thing is you might not even realize you’re sending out bad emails. So many of the mistakes we see over and over in emails are actually easily corrected, if you know what you’re looking for. Literally every single person you know has sent some too. Including me. Including Sean. Including every other person you can think of who you follow online. So, you’re not alone. What that does present is an opportunity. You’d be shocked at how many people take themselves out of the running for a job or connection because of their email. So, if you can position yourself as someone who is pretty damn good at cold email (even if it’s only 50% of time), you’re already setting yourself apart. That means more gigs, better connections, higher chances of getting featured on that blog or podcast you’ve been dreaming about. We want to help you stop sending out really bad cold emails. First, we created a brand new guide on it (more on that later). And second, we decided to create a checklist, The Ultimate Checklist, to sending cold emails. Using this checklist is going to help you eliminate the biggest cold email mistakes we see. Just using this, even if you do nothing else, is going to improve your approach. But first, let’s dive into the checklist. #1. Have you triple checked you grammar and spelling? Four thousand(!) people responded to this survey question, and almost half of them responded with poor grammar. So it’s pretty clear, having an email riddled with poor spelling and grammar mistakes is an issue. But, amazingly, people still do it all the time. My name is Joe. I’m a huge fan of your blog and have learned a ton reading it. 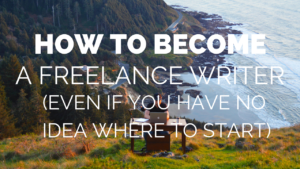 I’ve been thinkgn about niching down into blogwriting, specifically targeting travel agencies. I’ve been travel blogging for about a year and think I have a good idea of what the market is right now do you think you could give me a couple of tips on how I can start reaching out to travel agencies, this is the part of the process where I am finding myself getting a little bit stuck and unsure about how I should move forward. You don’t need to be a spelling and grammar pro to see some of the glaring problems in this email. Think Sean is all that interested in investing a lot of time with Joe? Now, it’s one thing to be casual with friends and family, I tend to drop my capitalization when I’m emailing with them. But for a potential client, business partner, or influencer? No way. Ignoring your spelling and grammar automatically makes you look less professional and credible. I know it sounds harsh, and being a poor speller myself I can get a little testy at the “grammar police” but there are people out there who will immediately send your email to the trash if they notice one error. The way to solve this is simple: re-read your emails before clicking send. Yup, it will take you an extra five minutes, but it’s likely to save you from further embarrassment down the road. #2. Have you kept your email short and to the point? 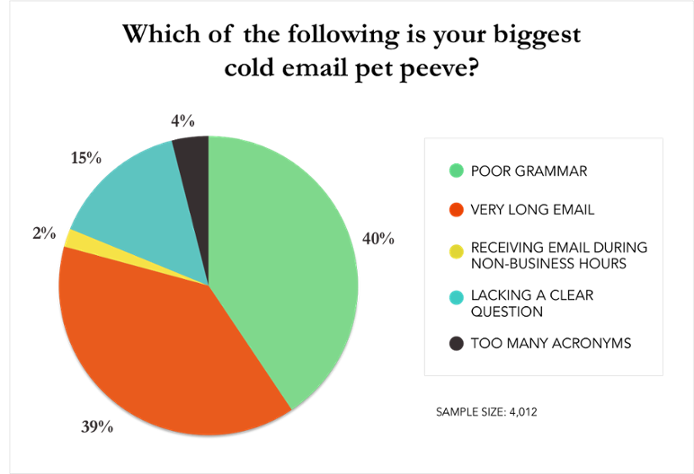 If you look back at that pie chart above, you’ll see that while spelling and grammar is the biggest pet peeve of most people who get cold emails, there is a very close second: the very long email. Long emails are either unread or, if they are read, they are unanswered … Right now I have 600 read but unanswered emails in my inbox. In fact, he goes on to say he thinks emails should be no longer than 5 sentences. Period. You would be shocked to find out how many people routinely send 500 (and longer) word emails to very busy people, clients, and influencers and expect a detailed response. Yea, unfortunately, that’s not happening. If I have a choice between responding to a 100 word email and a 500 word email that ask essentially the same question, the 100 word guy will get the response right away. The other one will just have to wait until I have the time or patience to read something that long and sift through what the actual question or comment is. Remember, people are busy. You’re probably busy too. Save yourself, and the person you’re contacting, time and keep your emails short, as in about 150 words and under. You’re far more likely to have a positive response and move the conversation forward. #3. Do you have a clear (and concise) point or question? When it comes to the cold email, live by the Rule of One (I’ve made up this rule, but it’s still important, that’s why I capitalized it). Focus on one thing in the email. That one thing could be getting a potential client to get on the phone with you, it could be telling a blogger you loved their latest post, it could be asking an influencer for a quote to put in your upcoming eBook. Asking a potential client to read your 16 page guide to why copywriting is important, letting them know where you went to college, and oh yes please also give me a call to discuss my rates. Telling a blogger you loved their latest post, asking them to check out your post and tell you what they thought of it, oh and could they tweet it out too? Asking an influencer for a quote in your upcoming eBook, and by the way could you introduce me to the last podcast guest you had on, it sounds like we both love to snowboard. See how it’s very easy to get the One Thing lost in the shuffle when you jam a bunch of other stuff in there too? While you think it’s harmless to slip in an extra ask or more info about you, it just muddies the conversation, it’s more things for the person on the other end to do or process, and that’s rarely a good thing. The more information and asks you stuff into your first cold email, the less of a chance there is you will actually see any results. #4. Did you avoid any touchy subjects or off color jokes? Look, I’m about as sarcastic as it comes and love a good saucy joke, but there is a time and place for that, and it’s not inside a cold email. In general, when you send out emails you want to be able to walk the line between showcasing a bit of your own personality and still keeping things above board. That means staying away from topics that are touchy subjects and have the ability to offend people. You never know what someone might find funny or offensive, that is up to them, not you. So, if you have even an inkling of doubt as to something that might be inching up to that line you don’t want to cross, save it. If you’ve done a good job with your original cold email, and are able to move to the next stage and develop a relationship then joke around and debate all the topics you like, just don’t lead off on that foot. It can not only make you look bad, it can make the other person uncomfortable, or they could mention your faux pas to some of the other people in their network, suddenly making you someone no one wants to deal with. When it doubt, leave it out! #5. Do you make it easy to say yes? When cold emailing you want to make it as easy as humanly possible for the other person to say yes to you. What that usually means is doing the heavy lifting before you press send. I’m a huge proponent of research and personalization when it comes to cold email. Yes, it takes longer. But, in my experience, I get much better results, so I don’t have to send 100 generic lazy emails and hope for one or two responses, when I can send 10 well researched and personalized emails and get two or three responses. Here’s an example of a content writing post I applied to via cold email where I tried really hard to make it very easy for the brand to say yes and give me the job. In the job posting, the brand was looking for someone who could hit a specific list of qualifications, and the listing also dropped a little Easter Egg in there to refer to hard cider. I’ve recreated the email here to remove any information specific to the brand or myself. Links: (Here, I included three links to posts I had written that touched on three specific things they mentioned they wanted from the writer). A post that leverages others for shares. A post that is well researched. A post that explains stuff to others. Pitch ideas: (Here, I included the titles of three ideas for posts). You can see in the email I went through their gig listing and had every part of my email speak directly to each of their wants and wishes, step by step. I also took it a bit further and provided them with three pitches for post ideas, something they hadn’t asked for. I wanted to make sure that in one quick glance of this email, they found someone who could deliver everything they were asking for, removing much of the back and forth. Not only did I get a yes pretty quickly, I actually removed the need for a step, the Skype interview, and instead got down to writing. That highlights the power of making it easy to say yes. Do the hard work for the person you’re reaching out to. Make it an absolute no brainer to take the next step with you. From there, closing the deal gets much easier. #6. 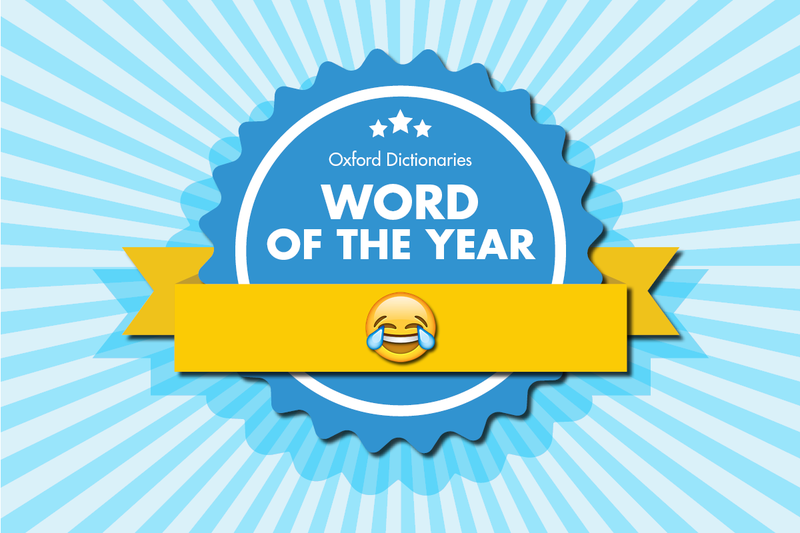 Are you using too many exclamation points and emojis? I’ve gotten one too many emails where every sentence ends with ! or :D.
Even though using these (especially the emojis) are totally common and acceptable today, your cold email is not a text message. An exclamation point here and there is totally fine to really drive something home. But there is no way you need to put one at the end of every single sentence, or worse, multiple exclamation points. Just one will suffice, I assure you! The same can be said about question marks, though I see this to a lesser extent. It can not only be a bit of overkill, but to some people I can just seem plain unprofessional, which is not the first impression you want to be making. Remember, in the vast majority of cases, you have once chance to hit a home run with a cold email, so it’s the very small details that set you apart from everyone else. #7 . Do you have a call to action? Nope, call to actions aren’t just for sales pages and copywriting. You need them in your emails too, especially your cold emails. This ties right into the concept of making it easy to say yes. How can you make it as easy as possible for the person you’re emailing to act if you don’t tell them what you want them to do? Can you let me know if 2pm on Wednesday is a good time to call? Just click reply, and let me know if that testimonial works for you. You don’t have to go crazy and channel your inner Gary Halbert, you just want to be able to gently direct the person or brand you’re emailing in the direction towards taking the next step with you. Don’t leave it up to them to figure out what they have to do to move forward, or what the next steps are, or have three back and forth emails to set a call time. Take it out of of their hands and put it into yours. #8. Have you made the email all about you? So many cold emails are all about the person sending them, not about the person receiving them. This is a classic error that’s usually done with good intentions. 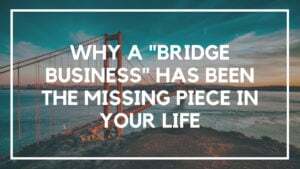 Of course, as you do your research before you email, find and call attention to things that can help build a connection, but in your first email keep it brief. I did that too in the beginning. When I started in Location Rebel, I jumped into SEO content writing, which involves a lot of cold emails. I figured, these companies would want to know all about me before they hired me, right? As you can imagine, I didn’t get much in the way of responses. It wasn’t until I learned that I had to approach cold email in a different way, focusing the email on the person (or brand) getting it that made the difference. Look, it’s natural to want to highlight a bit about yourself, but don’t go over the top. Keep the email about the person you are trying to connect with: how you can help them, solve their problems, get them more readers, get them more attention, highlight how awesome they are, make them more money, etc. #9. Did you avoid bulk messaging and spamming? Yes, I’ve been there, I know it’s a slog sending out tons of cold emails, especially when you’re trying to get that first gig. That’s why we included this one, even though it’s mostly a rookie error. At first, it feels like a great way to save time. But it also means you’re not going to get very good results. Chances are your email is incredibly generic, the same generic email these brands get from the other 1,000 people emailing them on a daily basis, so you don’t stand out. I am contacting you about my SEO writing services. I provide excellent articles that you will be able to send to your clients. I am a native English speaker and an University graduate. 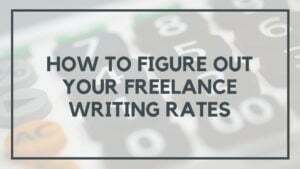 My rate is $20 per 500 word article. I look forward to hearing back from you. See how useless that email is? You can spot it as a generic, copy and paste job from a mile away. But that’s not the only reason why this is bad, it’s also incredibly easy to make a mistake. A big mistake like not bcc-ing all the companies, so they can all see that you’ve just sent them a bulk email. That’s happened to more than a few people I know. Remember, when you send generic bulk messages, you aren’t actually doing yourself any favors. The vast majority of time it’s a waste of your time, sure you might get lucky and hit a client or two, but most of the time I see people give up on the bulk and start from the beginning with personalized cold emails. #10. Are you following up? Just because you sent off your cold email it doesn’t mean your job is done. Nope, in fact, far from it. In the case of cold contacting, persistence is your friend. Let’s face it, people get a lot of emails, they are busy, maybe you sent an awesome email and exactly the wrong time and it got lost in a vast inbox. So what are you supposed to do, call it a day and move on to the next? Of course not, you follow up. It doesn’t have to be anything crazy (or rude or passive aggressive) understand that sometimes things get lost in the shuffle, and you’re sending over a gentle reminder about that email. 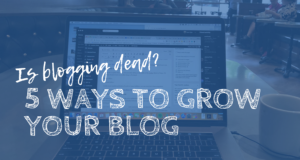 Sending over a quick follow up to my email last week about guest posting. I know you’re busy, so I copied the contents of the first email below to save you time searching. Let me know what you think! See, a simple three sentence follow up can get the job done. They were predicting cold emails. Don’t give up on following up. There are a couple of tools out there you can use that will help you track emails and remind you of when to follow up. So check out Boomerang, Streak, and Followup.cc to help streamline and organize your follow up approach. These are just ten of the most important things you absolutely have to be paying attention to when it comes to sending cold emails. That’s not all of them. 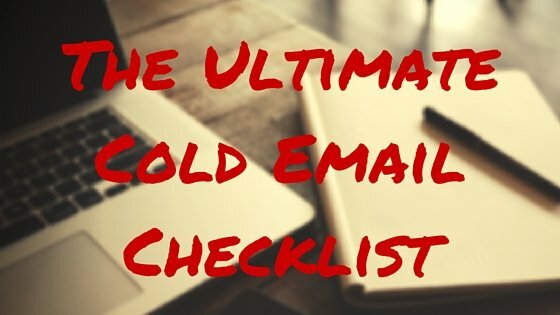 In fact, we’ve got fifteen more things to watch out for on our Ultimate Cold Email Checklist. You’ll learn even more of our best tips on how to take your cold email to the next level and start seeing real results from your efforts. Stop struggling with your cold emails. Simply type your email in the box below and we’ll send it over to you. Oh, and be sure to let us know if you were able to apply the checklist and see some real results from your cold emails. Excellent post! I almost hesitate to write here given the theme. 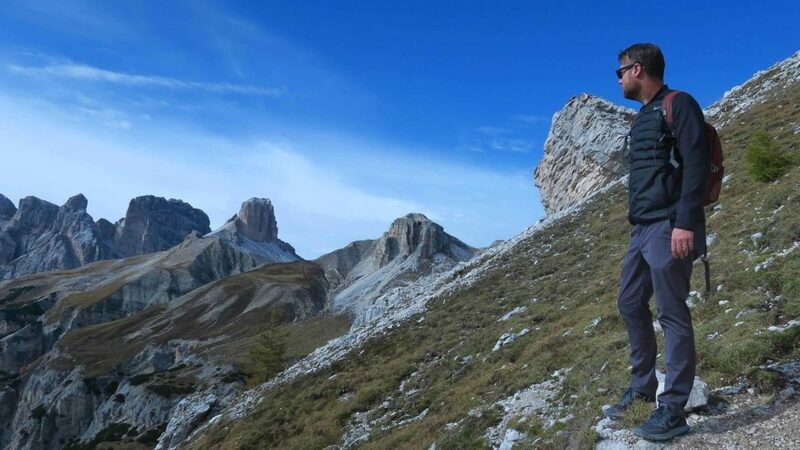 I can’t agree more about the email being the “make it” or “break it” to remote working. I have been working remotely from Thailand for 6 months now as a freelance illustrator and design instructor while working on my own business teaching artists how to make money online and live their dream. I cant begin to describe how important forming a short strong email has been in my success ths far. thank you for the post and everything you do. Thanks Brian! Glad to see you are seeing the importance of a great email. Good luck with your business and keep us updated! Liz, thanks for the 10 + 15 reminders on what makes a good cold email. I’m hoping to put an end to “read” ( I know because I put a tracker) but did not reply emails. What’s your thought on cold pitch without a warm into? Do I need some form of warm hello on Twitter or their blogs before considering emailing them? Love to hear your take on it 😀 ← safe to use I hope. One of the best article indeed.. I enjoyed lot reading this article, you know. This article is really great beneficial for me because I have learned many effective and informative knowledge from this article. This 10 tip may enhance the use of emails in our life. One of the excellent tip for me, you know. Hi Ravi, thanks for the note. Glad you enjoyed the post, hope you use the tips and see some success. Minor point, but there’s a spelling error in #10. Are you following up? Doh! Thanks Brooke, fixed now. Dear Liz & Sean – I am gobbling this up. Good show! You’ve done a perfect job of describing each factor of email murder. I am confused about who authored this blog: It wasn’t Sean; got that. But was it Liz or George Tampakis? Our community manager Liz wrote this, and Mr. Tampakis reposted it without our permission. We’ve sent him a message notifying him to take it down immediately. Thanks Annie, glad you enjoyed the post. Hope you’re able to use some of the tips in your own emails! It’s definitely annoying when a cold email doesn’t include my name or the company name. Even if someone’s sending out dozens of emails, it only takes a few seconds to personalize each name. Another pet peeve of mine is when someone writes me an incredibly long email that maybe contains great content, but is super-hard to read since it hasn’t been divided into paragraphs. Thanks Liz – excellent article full of pertinent points. I receive close to 100 cold emails per day from medical technology/device/pharmaceutical reps and educational websites and they are frequently appalling. I’ll be applying these techniques in my day-to-day practice, and in future cold emails I send. Great article Liz! Perfect timing for me too as I’ll be cold emailing a lot of people coming up. Bad emails is one of my pet peeves as well. I’ve actually spent a lot of time learning proper business / email communication and it has helped me immensely. I also know exactly what you mean about getting a slight bit “internet famous” leading to a lot of emails. I would not consider myself “internet famous” by any stretch of the word … but I’ve found out some other people do. I get random emails almost every day from people asking me to help them. About 99% of these emails are horribly written, selfish, and do not respect my time. Needless to say they go unanswered by me. Now write me a witty, short, respectful email and you’ll get a response form me, for sure. Especially since I started selling Ultimate Azon Theme, it’s amazing how many people email me asking me to personally help them make money online.